I thought this year would be another one like the previous years, with a decreasing strength to fight for freedom here. But we got surprising news from inside when the new president of the congress or national assembly was chosen for that role. What’s different this time? Well, this man, Juan Guaidó, 36-year-old, belongs to one of the new political parties, the one founded by Leopoldo Lopez, the political leader who got imprisoned 5 years ago. And the right of this party was respected by the other and older parties. 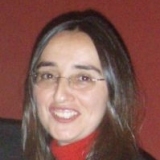 The interesting thing with Guaidó is that he does not have yet that despicable record of other Venezuelan politicians who deceived countless times the population. In a matter of 2 months we have seen changes from week to week. After January 10th the regime became power usurper and Guaidó became the interim president from Jan 23rd under the current constitution of Venezuela. That moment was transcendental for us. Then, the population began to respond as one voice to Guaidó’s lead. On Feb 23rd was supposed the day of the delivery of humanitarian aid from the border toward the country, but the regime prevented it, committing horrendous crimes against the people and destroying one of the cargos which tried to surpass the southwest border from Colombia. Unfortunately, the fast changes and advances have occurred from both sides, that is, the regime has accelerated the rate of destruction of everything here, from the institutions that support the different branches of power to the very basic services such as electricity, water, which affect the rest of activities in our daily lives, the regime is attacking our very basic rights, and that is making us mad/crazy/nuts. I recommend the following article from BBC titled “Venezuela: All you need to know about the crisis in nine charts”. 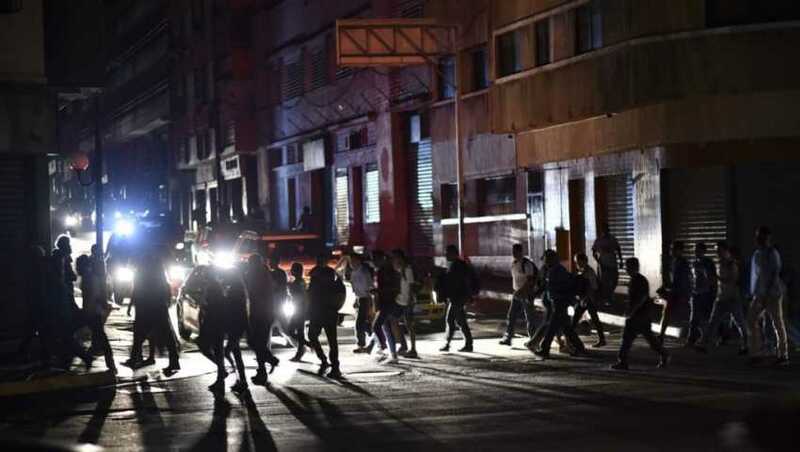 Yuri Cortez / AFP | People cross a street during a power cut in Caracas on March 7, 2019. In the personal view, I have been through an up and down flow of emotions. Some days I’m up and others down. In the up-days I feel obviously optimistic and hopeful because we get the support from the international community; we make progress in the actions for ceasing the usurpers being in power. In the down-days I’ve reached the point of questioning my thinking, my points of view, the actions of UN, international penal court; as well as asking who has the solution to this humanitarian crisis, who has the power to make the solution happen. To distract my mind I have to focus my attention in other things such as reading The Odyssey of Homer. But then my mind takes me to some other sources that refer to similar crisis with an outcome of freedom, like the one narrated by Viktor Frankl, in his autobiography “A man in search of meaning”, which reminds me all that matter related to concentration camps. 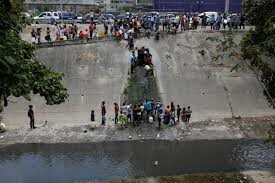 Now Venezuela is like a huge concentration camp and realizing that gets me depressed lately. Jose Rosa asked a while ago about how the actions from abroad impact us in our daily ordeal. Well, the delay in decision making impacts us greatly. The economic sanctions affect the dictator and his people, but we get the worst part: more limitations. However, we assume this because someone from the international side has to do something with impact against these monsters. They don’t care about people and its welfare. They lie in front of our eyes, saying there is no crisis, there is no hunger, there are no people dying of diseases. 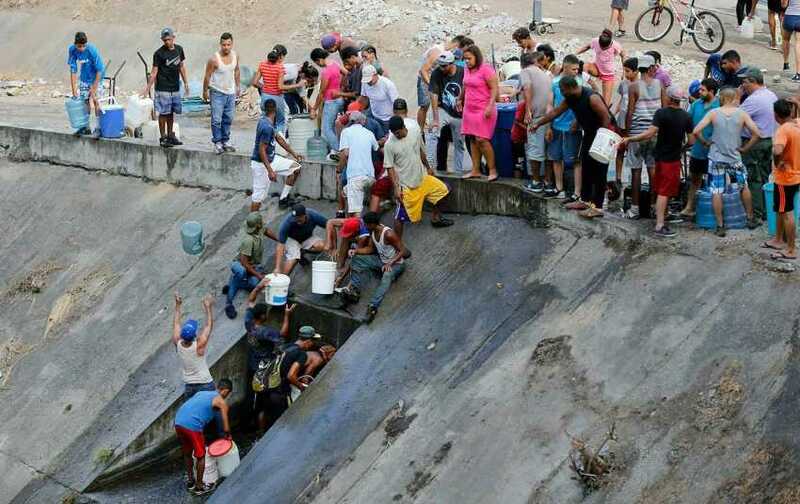 About water: the situation is reaching unimagined levels like people going to sewage points to get some water from them, or going to El Guaire River which gets the waste waters of the city. We face every day in several fronts: telecommunication, food, money in cash for transportation, electricity, water supply, medicines, and news about what’s going on. Today I was listening to the radio and a psychologist said that the truth is the ultimate victim of the whole situation: Venezuelans abroad although in better position don’t tell the whole truth in order to not to worry their families here, and Venezuelans here don’t tell the whole truth to their beloved ones away from Venezuela in order not to get and make more depressed. It’s a matter of survival, a matter of conserving the most essential energy, the one which sustains our hope.